The joint use of gadolinium-enhanced magnetic resonance imaging (MRI) and quantitative diffusion-weighted imaging (DWI) with apparent diffusion coefficient (ADC) mapping offer added value in the detection of recurrent/residual postoperative soft tissue sarcoma, according to a new study published in the Indian Journal of Radiology and Imaging. The study was conducted by Mai Maher ElDaly, Department of Diagnostic and Intervention Radiology, National Cancer Institute, Cairo University, Cairo, Egypt, and colleagues to evaluate contrast-enhanced magnetic resonance imaging (CE-MRI) and quantitative DWI with ADC mapping in the detection of recurrent/residual postoperative soft tissue sarcomas. 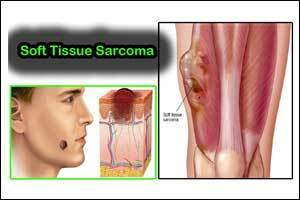 Soft tissue sarcomas/tumors (STSs) are a variegated group of disorders that have remarkable diagnostic and therapeutic challenges for clinical care. One of the most important aspects of patient care in STS is the evaluation of posttreatment response, as therapeutic options may change depending on the success of the response. Following surgery, the main mantle of magnetic resonance imaging (MRI) is to evaluate the surgical site for recurrent tumors. Differentiating residual or a recurrent tumor from treatment-related tissue changes after surgical resection is a common dilemma because of nonspecific signal abnormalities by standard MRI as there is overlap in the imaging features of benign postsurgical reaction and subtle residual or recurrent disease. For the study, 36 patients were studied; 27 patients had postoperative recurrent/residual soft tissue sarcomas and 9 patients had postoperative and treatment-related changes (inflammation/fibrosis). The DWI was obtained with 3 b values including 0, 400, and 800 s/mm2. Calculation of the ADC value of the lesion was done via placing the region of interest (ROI) to include the largest area of the lesion. ADC values were compared to histopathology. The researchers found that CE-MRI improved the diagnostic accuracy and sensitivity in recurrence detection compared to conventional non-enhanced sequences. However, it showed low specificity (55.56%) with a high false-positive rate that may lead to an unnecessary biopsy of a mass such as region of postoperative scar tissue. Based on the study, the authors concluded that joint use of gadolinium-enhanced MRI and quantitative DWI with ADC mapping offer added value in the detection of recurrent/residual postoperative soft tissue sarcoma. This combined use increased both the diagnostic sensitivity and specificity with a cut-off average ADC value for detecting nonmyxoid recurrent/residual lesions ≤1.3 × 10−3 mm2/s (100% specificity and 90.48% sensitivity). The results showed limited value of DWI with ADC mapping in assessing myxoid sarcomatous tumor recurrences.